How many times have you been grading your students' papers and thought, I wonder if they would write better if they knew others could read this? The answer, for most students, is "Yes." Most do put forth more effort and take a little more pride in their final product when they know ahead of time their work will be published and public on the web. 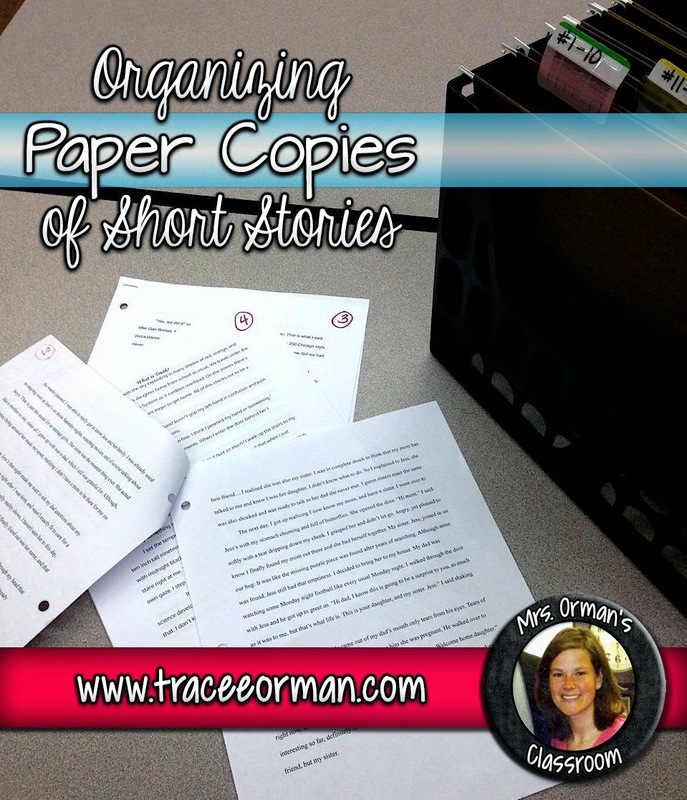 Years ago, I began a short story writing unit by telling students they would be writing for their peers. I asked them to create stories their friends would like (still school appropriate, of course). I assigned the students to read all of the stories and comment on them. Then I asked them to share their favorites. If the writers wanted to reveal themselves, they could. But they could also choose to stay anonymous. The first couple of years of this method were a little rough. Even though I specified that all feedback should be constructive and respectful, there were times when students blurted out comments like "This is the stupidest story ever!" or "Doesn't this person know how to use spell check?" I found myself in damage-control mode often. Students also wrote about other students, making snide remarks or writing stories that were not actually fiction. Some students were embarrassed. Feelings were hurt. I felt like the worst teacher ever. Then something magical happened. Students asked for their stories back to make changes, improvements. They wanted to edit and peer edit. They begged me to let them make revisions after they had already handed in a final draft. What? This can't be. Students wanting to make revisions? Yes. There's something called pride that creeps in during this unit and turns ordinary slackers into Hemingways. No one wants to look like a lazy fool in front of their classmates. For this unit I use students' short stories because 1. They aren't personal narratives, so students can remain anonymous, and 2. They are much more interesting to read than a research or informative essay. Can you imagine your students' reaction if they had to read 60 or more research papers their classmates wrote? Snoozeville. In the beginning, I just published the stories in my room. I basically made photocopies of each story, making sure the writer's name was either covered up or whited-out. Each story was assigned a number. 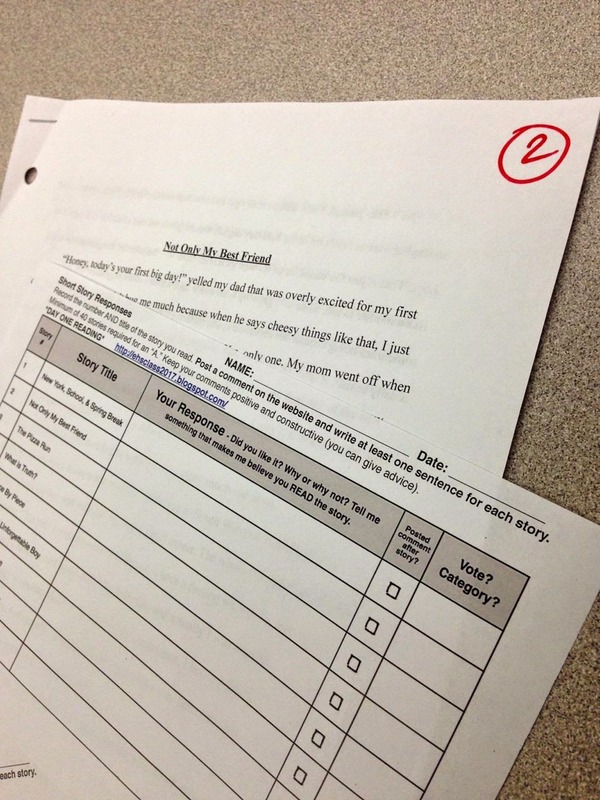 Students were given a sheet of paper with the titles of the stories and a blank area to write their feedback. I would then cut the paper in strips and give the writers the feedback (usually throwing away the comments that were hurtful or irrelevant). 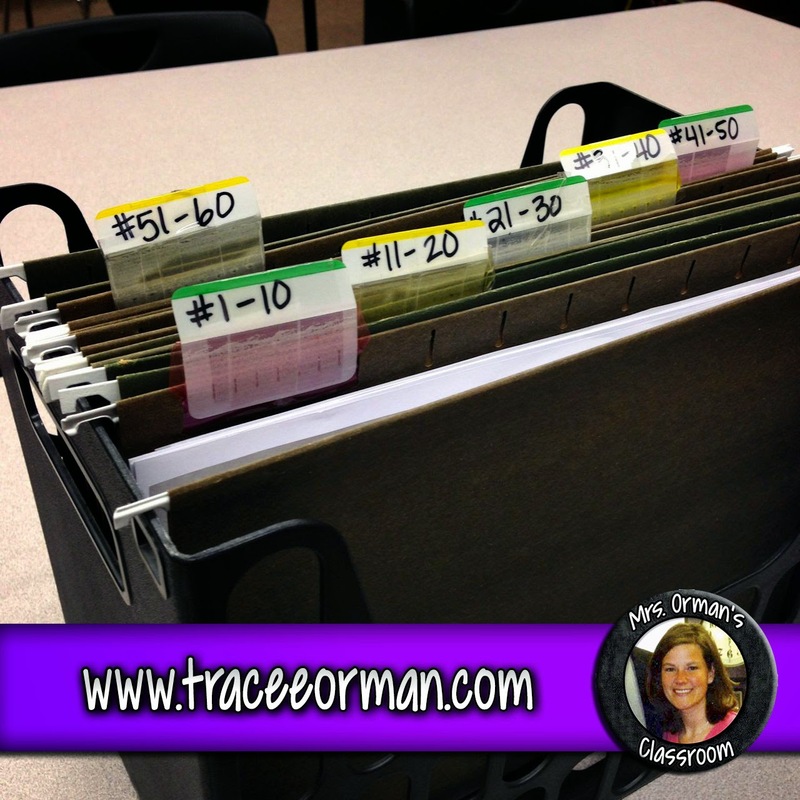 I used a small file organizer with hanging files (see below). I labeled the folders in groups of 5 or 10 stories each so they would be easy for the students to find. It would take my students about 4-5 class periods (about 45 min. periods) to read through most of the stories, depending on length. We read some of the longer ones aloud. Years that I had more students, we took about six class periods to finish reading the stories. Students wrote their feedback on a separate page. Some years I even had students grade the stories. That was always interesting. They usually gave their classmates much lower grades than I did. I do think it also made them appreciate how hard it is to grade a creative assignment as objectively as possible. Did some students slack off and only read some of the stories? Yes. Did some just copy the feedback from their classmates paper? Yes. But the majority of students really liked this unit and, boy, did they read a lot of pages! I've always had the attitude that reading something–no matter what the material–is better than not reading at all. If reading their classmates' stories will get a reluctant reader to read, I am all for it. Over the past few years, I've been publishing the stories online. 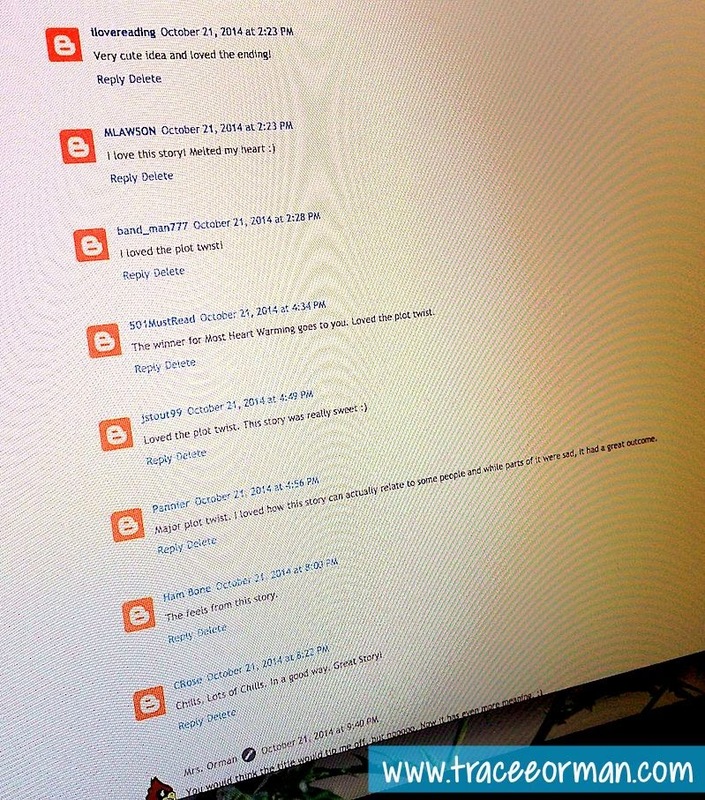 Students can then comment online right after the story. The writers are still anonymous and the students create user names in order to comment (though most students know their classmates' user names because they can't help but tell each other). One rule I do stick to for the feedback online: keep it positive and constructive. Will some students still be embarrassed? Yes. And here's why I think that is OK: the times I have been embarrassed by my mistakes in grammar, spelling, etc., I LEARNED from it. I became more careful with my writing. Each time I messed up publicly, I improved my writing exponentially. This growth does not come when we mess up privately because no one calls us on it, or we never notice our mistakes. 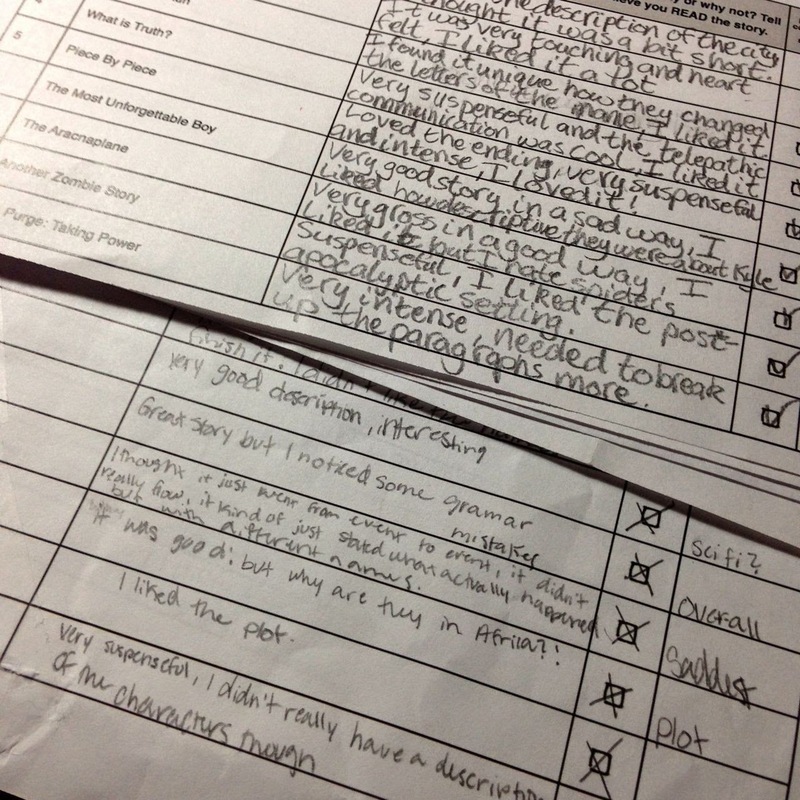 I could give pages of feedback to each student on their stories. Some may read it. Some may toss it in the trash without looking at it. Very few (if any) will try to improve that story. And why should they? It's already been graded. But one comment from a classmate saying, "It drives me nuts when people use the wrong 'your'!" is all it may take to get that writer to make changes. 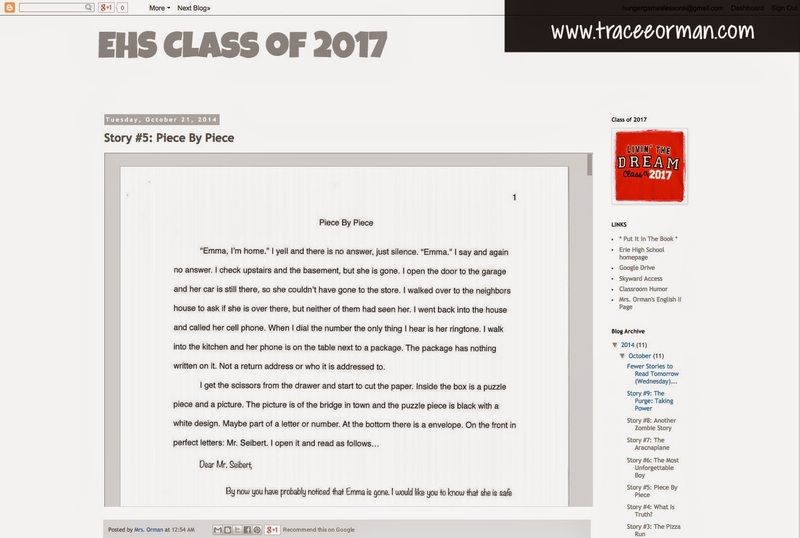 I use Blogger to publish student work because we all have Google accounts at school, so it makes it easy for the students to comment on the stories. I also appreciate the fact that Google Drive now has an "embed" feature, so I can share the stories as PDFs right on the blog post. Before, the formatting of the story (italics, special fonts) was usually lost when I copied and pasted them in. After students have read the stories, I have them vote for their favorites in categories such as "Best Plot," "Best Characters," "Most Creative," "Saddest," "Funniest," etc. If students wish to reveal which story is theirs after voting has finished, I allow them to do so, but they don't have to. 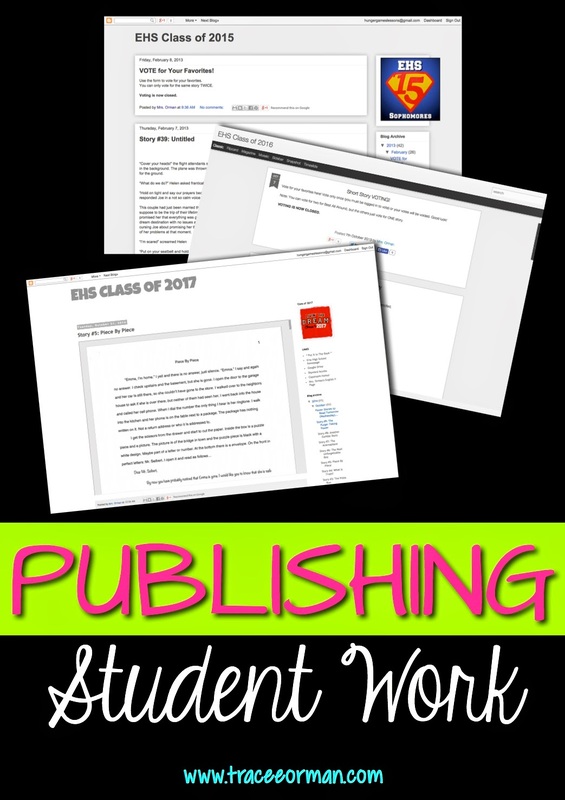 Do you publish your students' stories? Please share your experiences in the comments below! 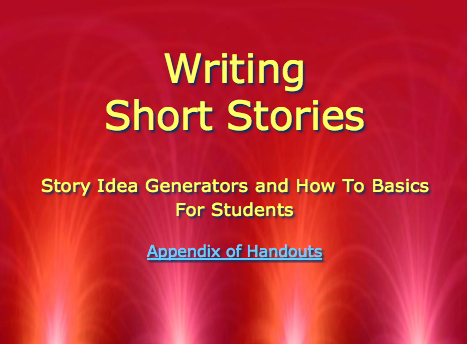 I will be updating my SHORT STORY WRITING UNIT within the next week to include all the handouts and information about publishing student work.